Here you will find posted questions with subsequent answers posted that were posed to the Fund, it's actuaries, and it's administrator at the time of the current year's Annual General Meeting. 1. What does NMC do to protect its members? NMC provides protection to its members against on-going and unexpected medical expenses. Therefore, it provides protection to its members in the ordinary course of doing its business. NMC aims to provide this protection at the highest possible level, and at the lowest possible cost. NMC also provides wellness programs to protect members against possible future diseases and costs. These programmes aim to prevent members from getting sick in the future. NMC also protects the data and confidentiality of members through appropriate service level agreements with service providers. 2. Why does NMC have limits per beneficiary instead of one amount for the whole family? The limits are there to protect the Fund against very high and unnecessary claims. NMC aims to have as few members affected by the limits as possible through regular analysis of the number of members that reach the limits and by annually adjusting most limits. The claims experience of a single member and beneficiary is obviously different. Individual members cannot have the same levels of limits as family members would have as this could open the fund up to abuse by such members due to the limits being very high relative to the expected claims. NMC is considering amending the limits by changing the limits based on the number of members in a family to a limit which is based on the family alone. This will most likely happen in line with any changes to the contribution structures. Such changes cannot all happen at once and Trustees have been phasing-in these changes over time. This necessary level of prudence ensures that NMC can maintain its financial stability. 3. How does NMC compare with other medical aid funds re roll-over options? NMC does not provide a roll-over benefit in the same manner as provided by other medical schemes in Namibia.Trustees have considered providing it in the past, but the conclusion was that NMC has “additional benefits” which provide better value for money and that members that select a traditional option expect full cross-subsidisation. The roll-over benefit removes some level of the cross-subsidisation from the traditional options as healthier members are better-off compared to the sicker members. The benefits of cross-subsidisation are utilised in full only if all the members are in the same risk pool. If all the members in one option are in a single risk pool, then the average contributions are as low as possible for this group of members. 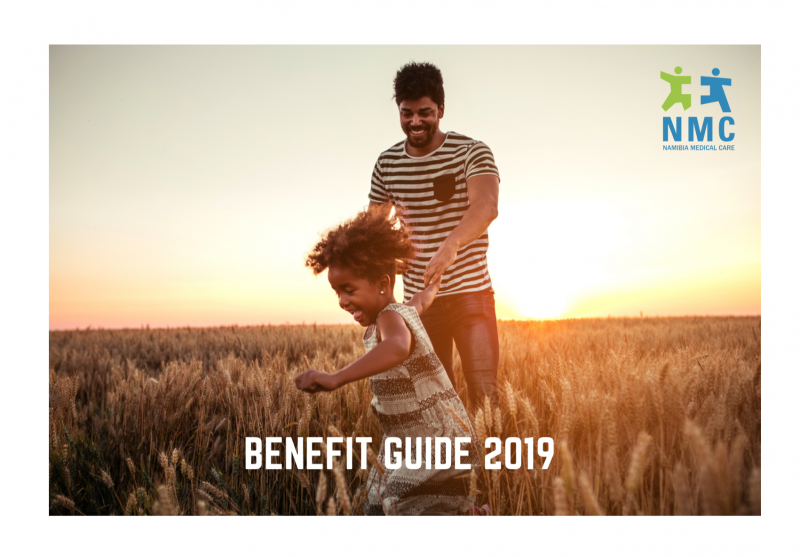 If members do not want the benefits of cross-subsidisation, then NMC offers two new generation options where members can choose their own contributions towards the day-to-day benefits and all unused funds are carried over to the new financial year. The “additional benefit” provided by NMC is called the Benefit Booster. This is an additional layer of day-to-day benefits that each member can elect to use on any of the day-to-day disciplines. Any unused benefit does not roll over into the next year, however this ensures that the additional layer can be provided at a very low cost. 1. Ms. Mercy Stephanus informed the meeting that as a younger member she only utilises her self-medication benefit, and since the benefit booster has now been removed her self-medication is depleted much earlier in the year, which forces her to see a general practitioner for a prescription when she could have made use of her self-medication benefit. The Chairperson responded that the Trustees would look into the matter to see how it can be addressed. A member notified the meeting that she is on Sapphire and she does not believe that the self-medication benefit is sufficient for her and her entire family. The Actuary responded that members also have a duty to utilise the self-medication responsibly. He further mentioned that the self-medication benefit could be increased substantially, but that this will have a substantial impact on the increase of the member contributions. Another member mentioned that his colleagues are also displeased with the self-medication that has been removed from the benefit booster. He further queried whether acute medication and doctors consultations have increased following the decision to remove the self-medication from the benefit booster. The Actuary mentioned that this was one of the possible risk areas that were identified and that the situation would be monitored to see how if this is the case. He did mention however that it is very difficult to determine whether an increase in acute medication and doctors consultations would be due to the change in benefit. It is very unfortunate that the Trustees had to make the decision to remove the self-medication benefit from the Benefit Booster. The cost of this benefit was however increasing at such a high rate that the change was unavoidable, and the Trustees had to act to maintain the financial stability of the Fund and to keep the contribution increases at acceptable levels. The Trustees anticipated that a large number of members would be impacted and therefore the decision was taken to increase the stand-alone self-medication benefit limit by 20% to soften the impact. The risk that members will now go to a doctor for a prescription is one of the risks that the Trustees identified when the change was made. The impact of the change is being monitored by analysing the usage of the self-medication benefit, and the possible impact the change could have on the usage of general practitioners and the acute medicine benefit. If the impact of the changes is different from what the Trustees anticipated, then the Actuary will be requested to make proposals to address the member concerns regarding this benefit. The usage of the self medication benefit is entirely left to the discretion of the member. The Trustees therefore urge members to use the benefit responsibly as this will allow the Fund to offer reasonable benefit limits without these having a material adverse impact on the contributions. Additionally, with the removal of self-medication from the Benefit Booster, the Trustees anticipate that more members will have access to the Benefit Booster benefit once their other day-to-day benefit limits are depleted. 2. Mr. Brian Hollick enquired whether the Fund is relying more on investment income and whether the Fund is getting a far smaller margin. He further enquired whether this is due to the Fund taking on high-risk members. The Actuary responded that the Fund aims at using as much of the premiums to pay benefits as possible and to get the underwriting result as close as possible to zero and to use the investment income to build reserves. The Actuary further informed the meeting that the matter of membership of a desirable age and health is under regular discussion and the Fund is putting initiatives in place to address the concern. The long-term financial goal of the Fund is to maintain its solvency ratio at 30%. The solvency ratio is calculated as the “Total Reserves”/“Total Annual Contributions”. In order to achieve this, the Fund has to generate a surplus every year as the “Total Annual Contributions” increase every year and therefore the “Total Reserves” have to increase as well. The Fund can achieve a surplus by either generating a positive “Net Healthcare Result” or by generating healthy investment income, or both. Due to the uncertainty attached to future claims and future investment return, it is not possible to accurately predict what these will be for the following year. The Fund does annual projections of these amounts to determine the required increase in contributions. However, the actual experience is likely to be different from the projected experience. For example, in one year the claims experience might be favourable and the investment income might be bad, or vice versa. So in any one year, the margin achieved by the Fund (also known as the “Net Healthcare Result”) might be small and then the Fund will rely more on the investment income to achieve its long-term financial goal. The next year might show the exact opposite situation. It is therefore important to analyse the financial information over a longer period, and NMC’s financial statements over the long-term show that in some years, the fund had to rely more on investment income, and in other years the fund generated a large positive “Net Healthcare Result” which reduced its reliance on investment income. The Trustees have put strategies in place to actively attract younger and healthier members. This, over time, should improve the risk pool, which in turn, should result in lower future contribution increases. 3. Mr. Derick Briers enquired whether an increase in membership should equal lesser administration expenses. He notified the meeting that administration expenses had grown from N$80 to N$91 million, which constitutes a 14% increase whilst membership had grown by 9%. The Actuary informed the meeting that the administration fees are calculated on a sliding scale in that the more members are administered; the less the Fund pays for administration fees per member. The total administration cost (non-healthcare expenses) increased by 13.69%. It can be explained by an 8.80% increase in membership plus 4.89% inflation, which compare favourably with the official CPI for 2014. For the same period the average admin cost per member only increased by 4.49% due to the increase in membership. 4. Ms. Monja Tjongarero informed the meeting that their employer group had recently moved from NHP to NMC and it would seem that co-payments on NMC are much higher than on NHP. She requested that the Fund investigate the correlation between the Funds in terms of co-payments. In our findings in comparing NMC and NHP tariffs we detected that NMC members pay exactly the same tariffs, and strictly adheres to the medicine generic price rule. Meaning that it is not possible that NHP has a lesser co-payment compared to NMC’s. 1. Can the fund consider implementing a roll over benefit? The Fund will investigate and consider such a benefit for 2015. 2. NPPF Complaint/Namibia Competitions Commission Feedback? The NPPF laid a complaint at the Namibian Competition Commission (NaCC) alleging that the Namibian Association of Medical Aid Funds (NAMAF) is acting in contradiction to the NaCC Act by setting tariffs. The industry has appointed Mr. Hartmund Ruppel to further address the matter. Mr. Ruppel is arguing that medical aid funds are not for profit entities and therefore do not qualify as undertakings under the jurisdiction of the Namibian Competitions Commission. The case is ongoing. 3. Why can a member not claim for broken spectacles? Broken spectacles should be claimed from short term insurance as damage and not from the medical aid fund. 4. What process should be followed to nominate candidates to become Trustees? Trustees are elected every third year and the next election will take place at the 2015 AGM. As per request from a member the nomination process will be started earlier in the year with more time for submissions. Members will receive a notice well in advance and the curricula vitae and information on nominees will be available on the Fund’s website. 1. Mrs Scott and Watermeyer submitted questions to the Fund before the Annual General Meeting. Both Mrs Scott and Mrs Watermeyer received feedback prior to the meeting. Mrs Watermeyer informed the meeting that the day to day benefits of Sapphire for GPs and Specialists has only been increased with N$500 in the last five years and that she believes this to be an insufficient increase when compared to the yearly premium adjustments in the last five years. The annual benefit contribution review process is typically a very complex balancing act. On the one hand, the Trustees would like to ensure that all the benefits are increased in line with the increase in the cost of the underlying service, but on the other hand, it is also important to ensure that the contribution increases are kept to a minimum. The main driver of the annual contribution increases is the increase in the medical inflation. NMC has very little control over this increase. Additionally, NMC has to make allowance for the ever-increasing level of utilisation of healthcare services by its members. This leaves a small portion of the total increase that can be applied towards benefit enhancements. The Trustees have to consider how to apply the “budget” for benefit increases to all the benefit disciplines. The Trustees would typically consider a number of different factors before making a decision on which benefit limits to enhance. These factors would typically include: the number of members that reach the benefit limits in the current year, any specific requests from members and service providers, the expected impact of specific targeted managed care initiatives, the need to remain competitive relative to the other medical aid funds in Namibia and the medical necessity of the specific discipline. The analysis usually indicates that there is a need to enhance the benefits provided for many of the majority of the disciplines and therefore it is unfortunately not always possible to increase all the benefit limits on an annual basis. The unfortunate reality is that some of the benefit limits remain the same for a number of years before an increase is justified. You will however be pleased to notice that this year, the limits on Sapphire for GPs and Specialists have increased by between 6.8% and 11.1%. 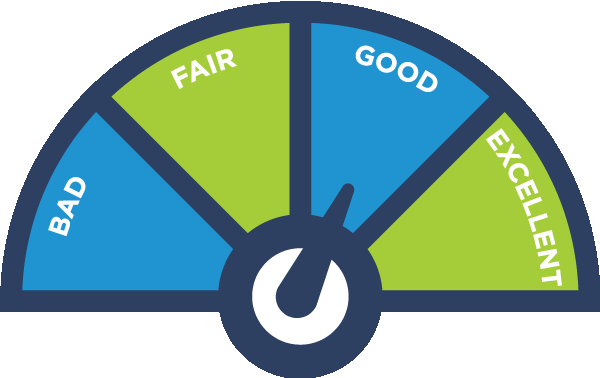 As the actuaries, we can assure you that NMC values the feedback from members that it receives and it is committed to address as many concerns as possible. The statistical analysis that we do every year tells one part of the total “story”, and NMC believes that it is important to complement that rigorous statistical process with feedback from the affected parties, most important of which are the members. NMC offers members International Medical Travel Insurance cover of N$10 million for emergency medical expenses. 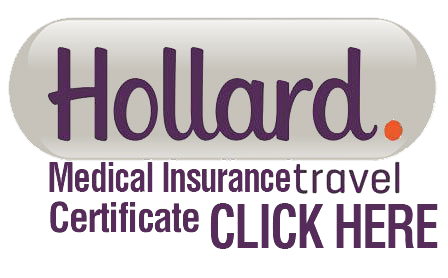 Remember to apply for International Medical Travel Insurance before embarking on your trip. Are you within a healthy weight range? Use the Body Mass Index (BMI) calculator to find out more. Please enter your email address below and submit. You will receive an email with the new password, which we will use momentarily in order for you to reset your password.